Get into the festive spirit by visiting Berlin’s traditional Christmas markets with their array of hand-crafted goods and traditional food and drinks! 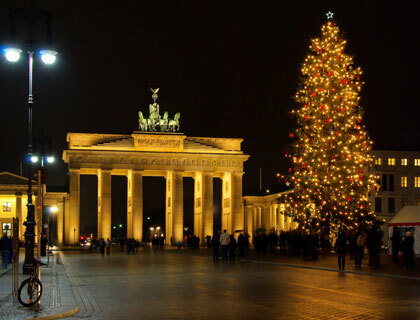 Your guide will tell you about the German Christmas traditions and its historical origins, as well as some fascinating, little-known facts about the city. Spandau Market is one of the biggest in Germany and is rarely frequented by tourists. It centres around the fourteenth century St. Nicholas Church, the perfect setting to revel in the festivities. Charlottenburg Palace is the picture-perfect backdrop to the second market. Here you’ll get to experience the local’s favourite market and learn the rich history behind the former summer residence for the Hohenzollern rulers. The 3rd market is at Kaiser Wilhelm Memorial Church, the iconic landmark of West Berlin.